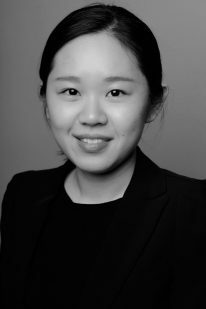 Hangxin Lu is a PhD student at the Chair of Information Architecture working on Citizen Design Science. She obtained a Master of Science degree in Electrical Engineering and Information Technology from École Polytechnique Fédérale de Lausanne (EPFL) and Bachelor of Science in Material Science from Beijing Institute of Technology, China. She accomplished her master thesis at Wearable Computing group at ETH. During her studies, she worked as a software engineer in Schindler Group, Switzerland and as a data scientist intern at Origins Technology, China.She is working in the multidisciplinary research domain in citizen design science, where she seeks to engage active public participation in the urban design process where top-down approaches could meet bottom-up requirements. She is developing methodologies and applications for citizen design participation in urban planning. One of her research questions is how to extract citizen’s local knowledges, cognition and experiences of urban spaces and apply them into an urban design framework. She is interested in bringing data-mining, the state-of-art machine learning and crowdsourcing techniques into evidence-based urban design process. As her research is part of big data driven urban design project in Future City Laboratory (FCL), she works closely with her colleagues in Singapore. She is working with the Waterfront Tanjong Pargar Project, where the government in Singapore plans to transform the areas around Tanjong Pargar into a greater future southern waterfront and citizens’ design proposals will be collected and analysed through workshop and applications. At the same time, she is working with the data from MOOC Smart cities course where citizen design science has been firstly applied as course exercises. In particular, she is analysing design proposals of MOOC students regarding Empower Shack project to understand people’s preferences in the complex urban environment.